The importance of Halaal in the life of a Muslim cannot be overstated. It is a direct commandment of Allah Almighty to eat from the Halaal (lawful) and tayyib (pure) things which he has provided and to avoid the path of the doubtful and forbidden, which has been likened to following the footsteps of Shaytaan. Indeed, the very act of consuming Halaal is a testimony to our belief in Allah Almighty and his revelation and laxity in this regard places a serious question on our sincerity and belief. Eating Halaal is not only fulfilling a divine commandment, but also a source of great blessing that will make good deeds easier for us, allow our dua to be answered and save us from the Hell fire. On the contrary, the Ahadith are clear that those who are not conscientious of what they eat and stray into Haraam, will have Duas rejected even if they are in an otherwise pitiable and humbled state. Despite these clear injunctions and benefits of Halaal food and the severe consequences of being lax in this regard, many today have become living fulfilments of the description in al-Bukhari where Sayyiduna Abu Hurayrah (radhiallahu anhu) reports that the Prophet (peace be upon him) said, “A time will come upon the people wherein a man will not bother what he consumes; whether from a Halaal source or Haraam.” (Bukhari 2059). This may not be overt, but our eating decisions often beg the question of whether we really care what we put into our mouths. The utility and value of organisations such as SANHA in this kind of world is unquestionable. We have become a world of great specialisation, where no field of study is without its specialists, and the field of Halaal now requires such specialisation. We can be proud, as South African Muslims, that we have produced a Halaal body that is stringent, principled and well researched, allowing us to have peace of mind with regards to our consumption decisions. All those tricky issues and hidden ingredients in modern food production need a spotlight to make clear Halaal from Haraam. Our support for SANHA enables it to continue in this most noble enterprise. Decades back, the Flavour and Fragrance Industry in South Africa formed an association – SAAFFI (SA Association of the Flavour & Fragrance Industry) to unite local Flavour & Fragrance companies across common non-competitive industry issues, freeing up individual organisations to grow their business. This group has grown to around 60 companies. 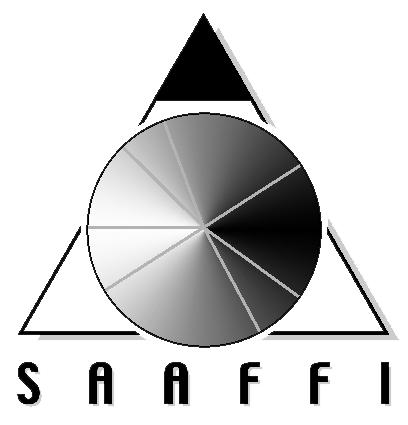 As a voluntary non-profit organisation, SAAFFI represents all aspects of this fascinating industry. Being kept up-to-date on changing local and international regulations. A unified industry approach to risk management. Being connected to relevant global organisations. Flavour plays an important role in food and in life. Without flavourings many of our gastronomic pleasures would be greatly reduced. The preparation of safe food for mass distribution normally requires a certain amount of processing that can result in some loss of flavour. The addition of safe, scientifically-developed flavourings is needed to compensate for this loss. Furthermore, their inclusion in snacks, soft drinks, desserts, confectionery and so on satisfies present-day demand for pleasure and variety. The fragrance industry is multi-faceted, with fine fragrances holding a celebrity status within it. Beyond the exclusiveness of fine fragrances, perfumery is intricately associated with the benefits of other products – from shampoos and cosmetics to laundry detergents and household cleaners. Fragrances make clothes smell “clean”, cosmetics “pretty”, and households “well kept”. Consumers look to a fragranced environment to add quality to their lives, enjoying such items as scented candles, fragrance sprays, shower gels and pomades to provide the benefits they seek. A world without fragrances would be comparable to a world without music. SAAFFI membership is open to organisations directly involved with Flavours and Fragrances, as well as those offering allied products and services. SANHA is proud to be a member of SAAFFI. SAAFFI’s Precise Short Training Courses (PSTC) give attendees a good overview of many industry-related subjects. The format encourages interaction between the attendees and presenter and for this reason, numbers are limited. The PSTC offer an inexpensive training option and ensure that attendees are not away from their work for more than a half day. Also offered by SAAFFI, in partnership with the University of the Witwatersrand, is a Flavour & Fragrance short course, which is available to Applied Chemistry students as well as those currently employed in the flavour and fragrance industry. Other on-site training, including industry-appropriate numeracy training is offered and can be tailored to meet the needs of the employer. The Flavour and Fragrance industry, as well as the industries it serves (the Food, Beverage, Cosmetic, Household products industries), offers many interesting and fascinating career paths. SAAFFI offers resources to assist companies seeking trained personnel, and individuals seeking employment in the sector. The Industry News section of this edition mentions various natural ingredients which are Halaal and which Muslims are free to consume. We also bear in mind that Halaal is not a licence for indiscriminate consumption without consideration for the rights of others. The above Hadith prohibits harming others in social gatherings such as the Masjid through offensive smells of garlic, onion and leek. These smells should be attended to before joining the presence of others. This applies to body odour and other general principles of consideration as well. It is highly meritorious to inculcate the use of Miswaak for the pleasure of Allah and His Messenger (Sallallahu Alaihi wa Sallam). Tried and tested recipes from chefs, gourmet connoisseurs, contributors and also from kitchens of our certified plants for your culinary pleasure. Save the information and make up your own collection of winning recipes. Mexico’s famous dish of corn tortilla rolled around a filling, and covered with a sauce and baked. 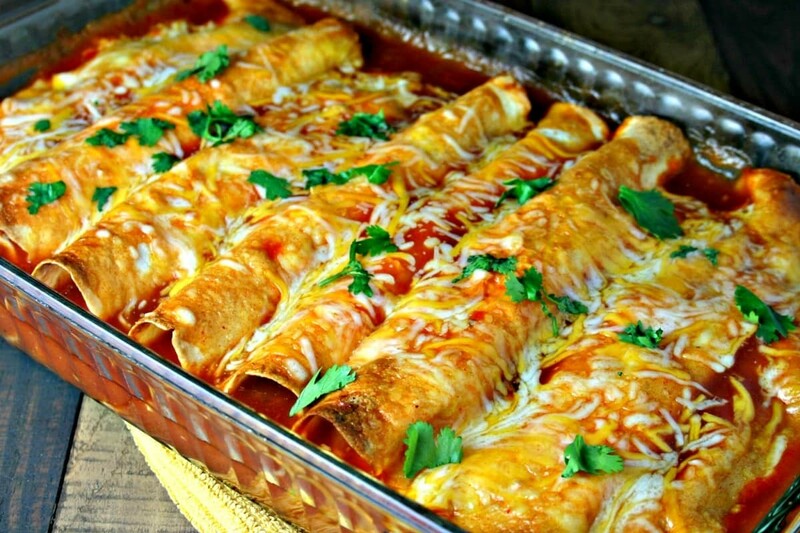 Enchiladas can be filled with a variety of ingredients, including various meats, cheese, beans, potatoes, vegetables or combinations. This recipe is by Ms Zahraa Norat, formerly of Blythedale, Stanger and now of Pretoria. It is deliciously delightful and we predict will become a family favourite comfort food. The soft floury tortillas are worth the effort over using the store bought variety. 1. Add wet ingredients to dry ingredients to form a dough. 2. Makes ± 10 balls. Leave balls to rest for 15 – 20 minutes then roll out and fry on griddle (without ghee/oil). 1. Cook and shred chicken for filling. 1. Braise veggies, add in tomatoes, spices and simmer. 1. Fill Tortillas with chicken + salsa (cucumber + tomato) with a little periperi sauce. 2. Stack tortillas in casserole dish, seam side down. 3. Spread sauce, grate cheese over it and bake at 180°C for ± 15 minutes. 4. Serve with guacamole + yoghurt dip (4 tablespoons yoghurt + 2 tablespoon mayo). Do you have a recipe to share with the readers? and who knows, you could be our "guest chef" for a future edition of the e-Bulletin. In the serious world of Halaal, we take this moment to bring you a smile, a chuckle, a hearty laugh and a lesson. It's therapeutic, so pass it on. Out on a walk with friend, Halaluddin spotted a man caught in a river current and hanging on to some rocks in order to avoid being carried away. The friend went up to him, extended his arm, and said, "Give me your hand so I can help you out." However, the man did not co-operate. Halaluddin, then asked the man what he did for a living. “I work at SARS and collect taxes," came the reply. "Then take my hand," Halaluddin said, upon which the man instantly co-operated. Halaluddin then turned to his friend and remarked, "Tax collectors speak the language of take, not the language of give." 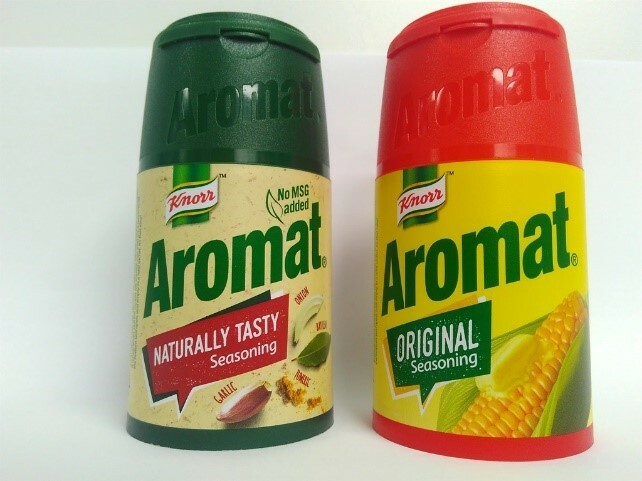 It was first introduced as a seasoning mix 65 years ago in Switzerland and still manufactured there as well as in South Africa today under the Knorr brand. In addition to their many flavours in plastic containers in the well-known red and yellow livery, it has introduced the "Naturally Tasty" variant with green packaging in keeping with the natural theme and drawing attention to use of ingredients amongst others of onion, bay leaf, tumeric and garlic. Unlike the "Original" Aromat, the "Natural" version contains no monosodium glutamate (MSG) to give peace of mind to those who believe it’s harmful, although studies over the years have not given conclusive proof. Your favourite Aromat products are certified by SANHA. Attended by over 60 cerification bodies from all over the world. South Africa’s representatives included SANHA’s Chairman Ml Yusuf Patel and Theological Director, Ml Muhammed Saeed Navlakhi. Interesting "bites" to whet the appetite for knowledge. So does your lifestyle help you to a better life and makes your city the healthiest in South Africa? According to a study by Discovery Vitality which analyzed food purchasing behavior of Vitality members across six South African cities, obesity costs our economy R701 billion. Dr Craig Nossel, head of Vitality Wellness, explained that there is a direct correlation between weight status and wealth outcomes. “People with an unhealthy bodyweight incur a direct increase in healthcare costs of approximately R4 400 per person per year.” Increased consumption of sugar, salt, fat and animal products has been identified as contributors. The study showed that Cape Town is the healthiest city, with 53.5% of Vitality members having a normal weight status. These people also purchase the most vegetables and fruit compared to other cities. Johannesburg came second, with 52% of its members having normal weight and Durban placed third, with 51.8% of its members having normal weight. “Port Elizabeth and Bloemfontein have the worst weight status, with 48.8% of residents having a healthy weight status in both cities,” the report read. The report also showed that members in Durban and Port Elizabeth purchased the least portions of fruit and vegetables. Certification terminated with immediate effect due to breach of contract. has used the SANHA logo fraudulently. The above store is NOT certified by SANHA. has been erroneously advertised as SANHA certified. The above store is NOT certified by SANHA. has fraudulently displayed a SANHA Halaal Certificate. KFC stores have NOT been certified by SANHA. Q. Are there any Halaal teething biscuits for babies? A. The Hey Baby teething biscuits range marketed by Tacoma Foods is certified Halaal by SANHA. Purity Teething biscuits are also Halaal suitable as per information at our disposal. Q. Are Turbovite products Halaal? A. Turbovite Excel granular sachets are certified Halaal by SANHA. In terms of information at our disposal Turbovite Vitality granular sachets and Turbovite Energy Sweets are Halaal suitable. Turbovite capsules and liquid variants are NOT approved by SANHA. Q. Is Flings Chips by Willards Halaal? It has an ingredient, ethyl alcohol. A. In terms of information at our disposal Willards Flings is Halaal suitable. * Khamr Asli - in the terminology of the Jurists of Islam refers to alcoholic intoxicant beverages derived from grapes, dates and raisins. This type is both Haraam and Najis (impure; napaak). In addition to this, any other 'intoxicating beverage' would also fall within the purview of prohibition (Hurmah). * Ethanol/Ethyl alcohol- this type of alcohol is derived from various sources including sugar cane, starch, coal, etc. and is used as a solvent extraction agent, propellant etc. This type is not deemed Najis (impure) and its use in industrial applications as manufacturing aids is condoned. Accordingly, its presence in 'residual/trace levels' in food and beverage products does not render such products Haraam. Ethyl alcohol may also naturally be found in fruit juices and is also generated in the baking process with yeast fermentation. It is also widely used in the personal care, cosmetic and perfume industry. SANHA certifies over 1400 establishments ranging from large multi-nationals to many proudly South African enterprises including cottage industries. Get a copy of the 48-page booklet by mail or download to your computer. This treatise discusses the nature, status and mission of Jesus Christ (peace be upon him) with references to both the Bible and the Noble Quraan. with subject line “Christ in Islam” and your postal address. Your discovery column of spectacular spices, fabulous fruits, incredible ingredients, vital vegetables, marvelous minerals and vibrant vitamins. 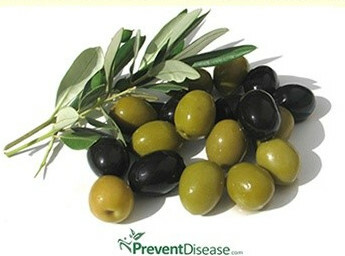 Many products such as fruit juices and drinks, cereals, fruit-flavored candies, cured meats, cereals and frozen fruits, lists ascorbic acid as an ingredient. Also known as Vitamin C, its inclusion could be as a preservative, antioxidant or colour stabilizer, or it can be used to boost a food's Vitamin C content. You might have seen people dip cut-fruit in a mix of lemon juice, which is a source of Vitamin C and water to keep it from browning. Vitamin C acts as an antioxidant as it keeps foods from reacting with oxygen when exposed to air. This helps keep the food's texture, flavour and colour from changing. It’s an essential nutrient for the body and the richest natural sources are fruits and vegetables. In today's foodservice, retail and wholesale space, Food & Hospitality Africa is a gateway to the African market. With a footfall of over 6 600 of visitors over three days in 2017 – more than 80% of whom make or influence decisions – innovation is at the top of the shopping list. Booking a stand at Food & Hospitality Africa powered by Hostex is an opportunity to tap into Africa’s potential through five shows under one roof where thousands of innovative products are showcased. Make sure yours is one of the hundreds of brands they connect with at Food & Hospitality Africa 2018 taking place at Gallagher Convention Centre from 6 to 8 May 2018. The origins of the three religions go back to the Prophet Abraham (peace be upon him), and their three prophets are directly descended from his sons. Muhammad (peace be upon him) from the eldest Ishmael and Moses and Jesus from Isaac (peace be upon them). Abraham (peace be upon him) established the settlement which today is the city of Makkah and built the Ka´bah with his son Ishmael (peace be upon him) in which direction Muslims all over the world face when they pray. As Muslims we are commanded in our Scripture, the Noble Quraan, and the teachings of our Prophet Muhammad (peace be upon him) to ensure the sanctity of life and contribute towards a peaceful society. "And nearest among them in love to the believers wilt thou find those who say ´we are Christians´, because among these are men devoted to learning..."
Therefore, the recent attack on Halaal by extremists in the name of religion displaying bigotry and religious intolerance demonstrates ignorance of the shared spiritual ancestry and heritage of Judaism, Christianity and Islam.